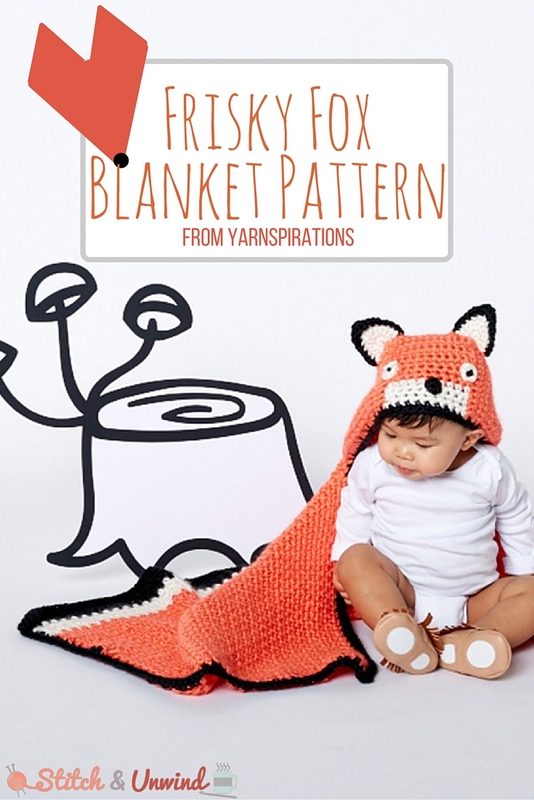 Free Pattern Friday: Feisty Fox Blanket from Yarnspirations! 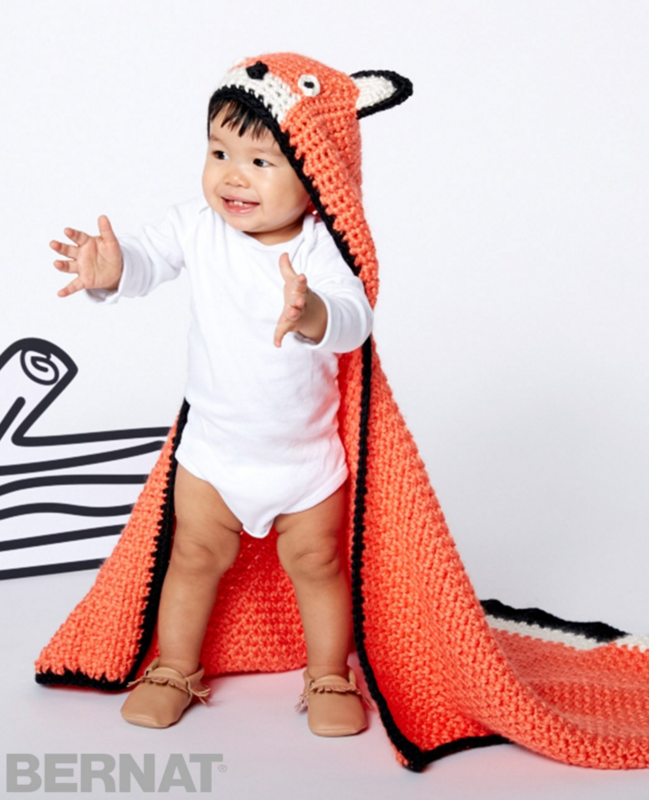 For today’s Free Pattern Friday, we have this adorable fox crochet blanket pattern from Yarnspirations! 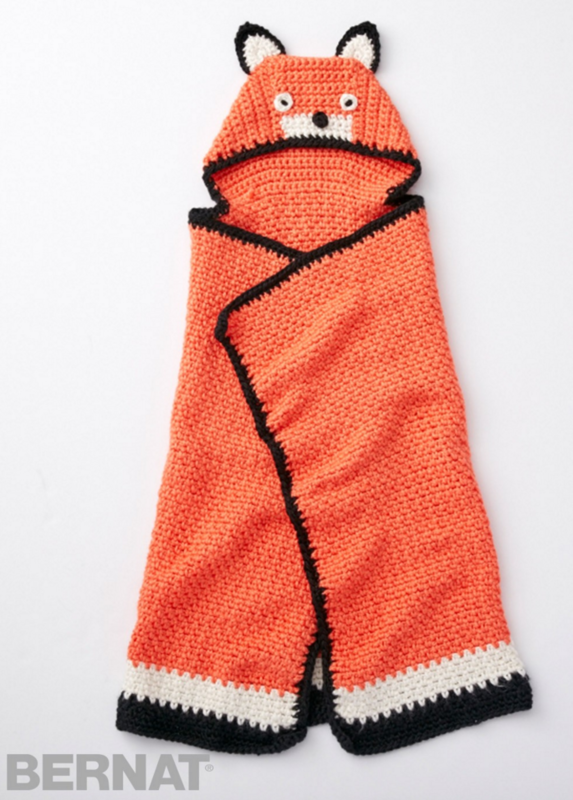 This is the perfect crochet baby blanket pattern because it has a little hood on it – perfect for cuddling up. 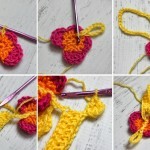 If you need any baby shower gift ideas or have any baby birthdays coming up, this free crochet pattern is a must-make! Sizes U.S. H/8 (5 mm) and U.S. L/11 (8 mm) crochet hooks or size needed to obtain gauge. Approx 50 x 30″ [127 x 76 cm], excluding hood. 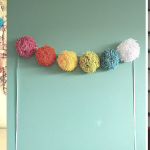 10 sts and 12 rows = 4″ [10 cm] with larger hook in pat. 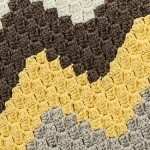 Note: To join new color, work to last loops on hook of first color. Yoh with new color, draw through loops and proceed with new color. With larger hook and B, ch 126. 1st row: (RS). 1 sc in 2nd ch from hook. *Ch 1. Skip next ch. 1 sc in next ch. Rep from * to end of ch. Turn. 125 sts. 2nd row: Ch 1. 1 sc in first sc. 1 sc in next ch-1 sp. *Ch 1. Skip next sc. 1 sc in next ch-1 sp. Rep from * to last sc. 1 sc in last sc. Break B. Join A. Turn. 3rd row: With A, ch 1. 1 sc in first sc. *Ch 1. Skip next sc. 1 sc in next ch-1 sp. Rep from * to last 2 sc. Ch 1. Skip next sc. 1 sc in last sc. Turn. 4th row: With A, as 2nd row. Last 2 rows form pat. 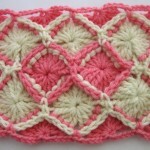 With A, work 4 more rows in pat. With MC, cont in pat until work from beg measures approx 30″ [76 cm], ending on a WS row. Fasten off. 1st row: (RS). With larger hook, join MC with sl st to 49th st of last row of Blanket. Ch 1. 1 sc in same sp as last sl st. 1 sc in each of next 26 sts. Turn. 27 sts. 2nd row: Ch 1. 1 sc in each sc to end of row. Turn. 3rd row: Ch 1. 1 sc in each of next 8 sc. 2 sc in each of next 2 sc. 1 sc in each of next 7 sc. 2 sc in each of next 2 sc. 1 sc in each of next 8 sc. Turn. 31 sc. 4th to 8th rows: Ch 1. 1 sc in each sc to end of row. Turn. 9th row: Ch 1. (1 sc in each of next 9 sc. 2 sc in each of next 2 sc) twice. 1 sc in each of next 9 sc. Turn. 35 sc. 10th to 14th rows: Ch 1. 1 sc in each sc to end of row. Turn. 15th row: Ch 1. 1 sc in each of next 10 sc. 2 sc in each of next 2 sc. 1 sc in each of next 11 sc. 2 sc in each of next 2 sc. 1 sc in each of next 10 sc. Turn. 39 sc. Cont even in sc until Hood measures 8″ [20.5 cm], ending on a WS row. Fasten off. Top Hood: 1st row: (RS). With larger hook, join MC with sl st to 13th st of last row of Hood. Ch 1. 1 sc in same sp as last sl st. 1 sc in each of next 12 sc. Turn. 13 sc. 2nd and 3rd rows: Ch 1. 1 sc in each sc to end of row. Turn. 4th row: Ch 1. Sc2tog. 1 sc in each sc to last 2 sc. Sc2tog. 11 sc. Turn. 5th to 7th rows: Ch 1. 1 sc in each sc to end of row. Turn. 8th row: Ch 1. Sc2tog. 1 sc in each sc to last 2 sc. Sc2tog. 9 sc. Turn. 9th and 10th rows: Ch 1. 1 sc in each sc to end of row. Break MC at end of last row. Join A. Turn. 11th to 14th rows: With A, ch 1. 1 sc in each sc to end of row. Turn. Fasten off at end of 14th row. Sew sides of Top Hood to rem sts at either side of last row of Hood. With RS facing and larger hook, join B with sl st to any corner of Blanket. 1st rnd: Ch 1. Work sc evenly around entire edge of Blanket and front opening of Hood, having 3 sc in each corner. Join with sl st to first sc. 2nd rnd: Ch 1. Work 1 sc in each sc around, having 3 sc in each corner. Join with sl st to first sc. Fasten off. 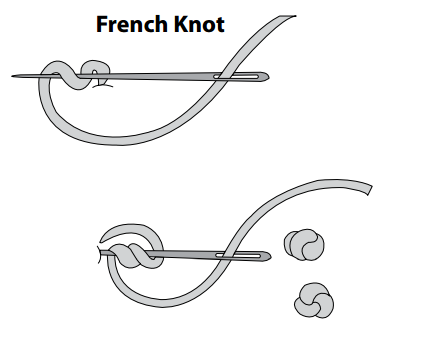 With smaller hook and A, ch 2. 1st rnd: 6 sc in 2nd ch from hook. Join with sl st to first sc. Fasten off. With B, embroider French Knot in center of Eye. With smaller hook and B, ch 2. 1st rnd: 6 sc in 2nd ch from hook. Join with sl st to first sc. Fasten off. 1st row: (RS). 5 sc in 2nd ch from hook. Turn. 2nd row: Ch 1. 2 sc in each sc across. 10 sc. Turn. 3rd row: Ch 1. 1 sc in each of first 4 sc. (1 hdc. 1 dc) in next sc. (1 dc. 1 hdc) in next sc. 1 sc in each of next 4 sc. Fasten off. With MC and smaller hook, make as given for Inner Ear. Join Ear: With WS of Inner Ear and Outer ear facing each other, and RS of Inner Ear facing, join B with sl st to first sc. 1st row: Ch 1. Working through both thicknesses, 1 sc in each of first 4 sc. 2 hdc in next st. (2 dc. 1 tr) in next st. (1 tr. 2 dc) in next st. 2 hdc in next st. 1 sc in each of next 4 sts. Fasten off. Sew Eyes, Nose and Ears to Hood as seen in picture. What kind of animal would you like to make? Stitch and Unwind is the official blog for AllFreeKnitting.com, AllFreeCrochet.com, and AllFreeCrochetAfghanPatterns.com. 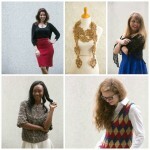 You’ll see post from all three being contributed regularly. 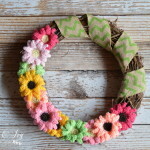 Once in a while you might see a post from our friends at FaveCrafts.com as well! 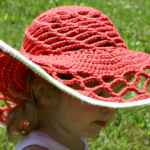 A lovely crochet pattern to make for baby, thanks very much. 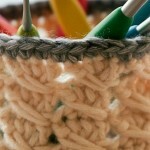 Subscribe to the Stitch and Unwind Newsletter. Copyright © 2019 · Stitch & Unwind - A Prime Publishing LLC property. All rights reserved.